We are very proud to announce another participation by members to the next 2018 Race Across America. 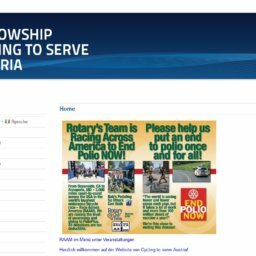 The Team Rotary RAAMs Polio (Kurt Matzler – Bob McKenzie – Ruth Brandstaetter – Markus Mayr) will be on the start line on the 16th of june in Oceanside, CA and will travel 4 800 kms in around 8 days to Anapolis, MD in one of the toughest event in the wolrd !!! 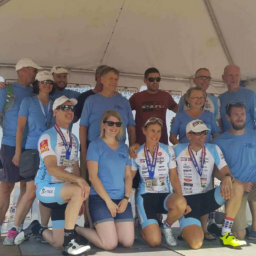 More on https://www.raampolio.com/ and don’t forget to DONATE. They are seeking financial support to End Polio Now. Do you consider supporting thir team by making a tax-deductible donation?